Each Saturday I post my inspiration for the week. And most of you who have been reading my blog long enough know that I like to joke around. Sometimes though, things happen that make us stop our routines and pause for a moment. 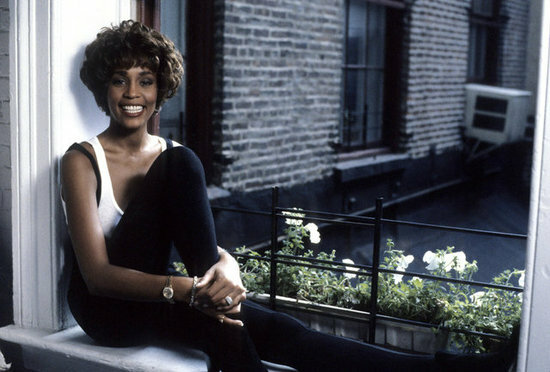 I'd like to pause now to remember a wonderful woman, Ms. Whitney Houston. I am beyond devastated over the news of her death. As a kid I had this small boombox and I used to play my Whitney Houston cd on it and sing along. My friends would always joke around about how much I loved her. One of the highlights of my childhood was going to see her in concert. She was beyond kind to all of her fans the day we saw her. A man got on the stage to present a poster he had made for her. Security immediately jumped on him and tried to take him away but Whitney stopped them and let the man talk with her. She hugged him and took his poster; it's a moment that has always stayed with me. I got a phone call today that started with, "You've lost your idol". I have, and I'm heartbroken, but I know that she will live on through her timeless and beautiful music. My thoughts go out to her family and her daughter. Sooo, so, so sad! Such talent!